Labour leaders want the bodies of three trapped mineworkers retrieved within the next three days and salaries to be paid. The National Union of Mineworkers (NUM) said it would on Tuesday embark on a march to Lily Gold Mine to hand over a memorandum of their grievances. The march comes hot on the heels of the Cosatu march to the mine in Barberton on Sunday, where the union federation put pressure on management to “find” the three trapped mineworkers. Cosatu said it also wanted government to establish a commission of inquiry into the Lily Mine disaster on 5 February 2016, which left three mine workers tapped underground when the container they were inside sunk with a fall of ground. The container could not be retrieved because it was covered by huge rocks and it sank further when rescue attempts were made. The trapped mineworkers Pretty Nkambule, Solomon Nyerende, and Yvonne Mnisi remain buried. In a statement, the NUM said the march would start at 10am from Louicreeck town to the area. The NUM listed seven demands to management, among them that the operation of an inclined shaft to rescue the three trapped workers begin within three days. The union said the trapped workers at the gold mine needed to be brought to the surface so that their families could find closure and move on with their lives. “The thoughts of having comrades Solomon Nyerende, Yvonne Mnisi and Pretty Nkambule deep down there are disturbing and highly unbearable,” the NUM said. 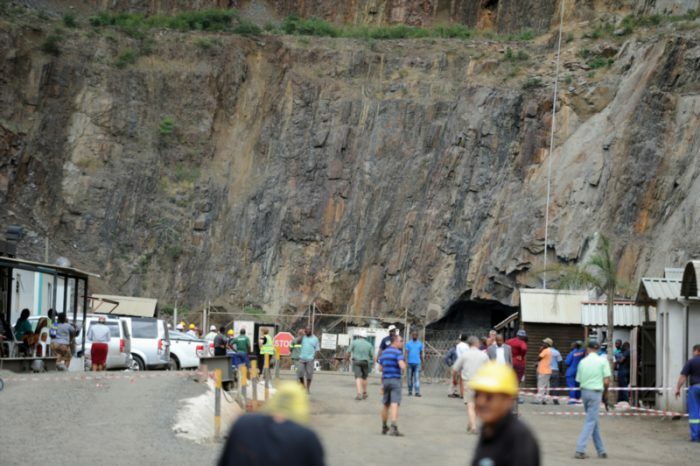 The union also wants all Lily Mine employees be paid their full outstanding salaries with immediate effect and that the mine should comply with the Mining Charter, particularly with its social and labour plans. The union also called in the mining companies to invest more in protecting the lives of workers “than focusing more on profits”.